At exactly the same time Batman was becoming an obsessive, a new breed of enthusiast began its rise to prominence. For years they had lurked in the shadowy corners of popular culture, quietly pursuing their niche interests among themselves, keeping their heads down to avoid the inquisitive, judgmental gaze of the wider world. They called themselves fans, experts, otaku. Everyone else, of course, called them nerds. Nerds had spent decades creating and policing carefully wrought self-identities around their strictly specialized interests: comic books, computers, science fiction, video games, Dungeons & Dragons. What truly united them, however, were not the specific objects of their enthusiasm but the nature of their enthusiasm itself—the all-consuming degree to which they rejected the reflexive irony their peers prized. Instead, these fans blithely surrendered themselves to their passion. The rise of the Internet would fuel this passion by connecting them to others who shared it. In only a handful of years, their particular species of enthusiasm—“nerding out”—would supplant irony to become the dominant mode in which we engage with each other and with the culture around us. 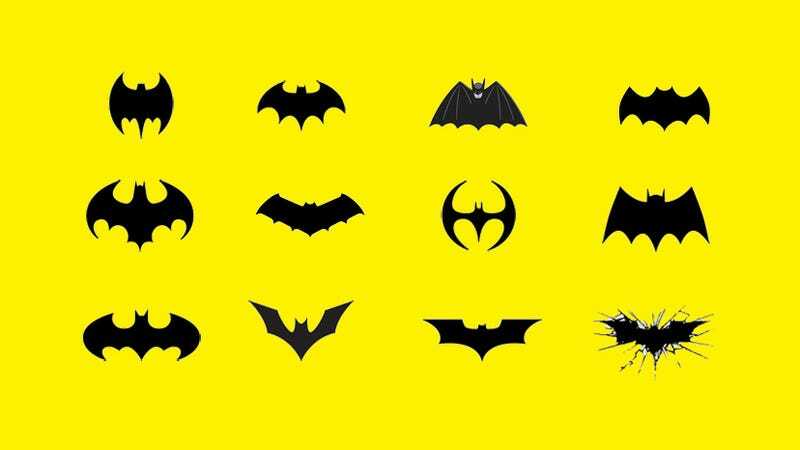 And it was Batman—Batman the obsessive, Batman the ultimate nerd—who acted as the catalyst for billions of normals to embrace the culture they had once dismissed or rejected. It is Batman whose comics, television shows, and movies continue to serve as gateway drugs to the nerdly life. Because whether it is treated as lofty mission statement or driving obsession, his childhood oath is the thing about this character—far more central than his “relatability”—that resonates deeply with us, ardent Bat-fan and casual moviegoer alike. July 2013. San Diego, California. Comic-Con. I am a forty-five-year-old man standing in line for a toy Batmobile. And I am not alone. The line in question begins at the Entertainment Earth booth in the 2300 section of the convention floor, wraps twice around a dining area where families huddle in clots to listlessly chew terrible pizza at one another, doubles back and extends down over the thick blue carpet to bisect no less than twelve aisles, travels past the Small Press Pavilion (whose beardy, be-flanneled residents regard us line-standers warily), and continues on through Webcomics, to reach its terminus somewhere beyond the horizon in the mist-shrouded recesses of the 1100 section, where there be dragons. And dungeons. And mages and paladins, presumably, as I think the 1100 section is Tabletop Gaming. I have been standing in this line for the past forty-five minutes. I don’t know it yet, but I will be standing in it for another hour. When I at last make it to the front, I will too-happily plunk down sixty bucks for a chunk of extruded plastic in the form of a “CON-EXCLUSIVE!” toy Batmobile—the classic version from the late-sixties television show. Like most nerds my age, my first exposure to Batman didn’t come in the form of a comic, but from television. In my case, from reruns of the Batman TV show every afternoon at three thirty on channel 29. By age six I had memorized the schedule of every Philadelphia station, so while other kids spent their after-school time sweatily to-ing and fro-ing in the sunshine, I’d run inside, kneel before the TV, and spend the hours until dinner spinning the UHF dial like a safecracker: Spider-Man on channel 17. The Space Giants on channel 48. And always, every day, Batman on channel 29 at three thirty sharp. For the last three decades, the American superhero has been trapped in a perpetual age of adolescence, with fans and creators peevishly avowing that these spandex-clad fantasy characters created to entertain children must now be taken seriously, by which they mean they should be mired in joyless nihilism: badass. It was Batman and his fans who brought this benighted era about, and there are hopeful signs that Batman and his fans may soon be responsible for ending it. For now, however, I am standing in this endless line in hopes of scoring me some of that sweet, sweet Batmobile action. I decided to wait in line for it because waiting in line is, on one level, sort of what Comic-Con is all about. But mostly because I feel for the sixties Batman TV series a profound and passionate love. It’s not simply nostalgia, though of course nostalgia is the nutrient agar upon which all of nerd culture grows. No, I love it because of what it represents, what it argues against: the mere existence of Adam West’s Batman breezily yet effectively rejects the notion that the only valid Batman is a grim, gritty badass. This is why I am so heartened to look around me at Comic-Con and see, for the first time, toys and merch based on the 1966 television show, after long decades when it seemed as if DC Comics wished to disavow any trace of it. The young men ahead of me in line are waiting not for the Batmobile, but for some robot action figure thingy. Yet I hear something familiar in the urgent rush of their voices, and in their adjective choices, like “superior,” marked by the telltale overarticulated terminal r to which we nerds default in conversation. I see it lighting up their faces as they tick off the names and combat specs of their favorite kaiju-whomping fightin’ mechs. It’s what I saw in my friend’s face at the diner as he rhapsodized about how and why being Batman was an achievable goal. Same passion, just dressed up in a different suit. And that’s all that Comic-Con is: a whole lot of different suits. From THE CAPED CRUSADE by Glen Weldon. Copyright © 2016 by Glen Weldon. Reprinted by permission of Simon & Schuster, Inc. All rights reserved.